2011 M.A., Sociology. The University of Iowa. Dr. Matthew Andersson joined the Baylor faculty in 2016 after a postdoctoral fellowship at Yale University. 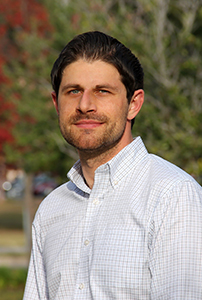 His research focuses on health inequality as it unfolds across the life course. Specifically, he researches educational and socioeconomic inequalities in mental and physical well-being as they relate to childhood, adolescent, and adulthood factors. Lynn, Freda B., Mary C. Noonan, Michael Sauder and Matthew A. Andersson. Forthcoming. “A Rare Case of Gender Parity in Academia.” Social Forces. Andersson, Matthew A., Mark H. Walker and Brian P. Kaskie. Forthcoming. "Strapped for Time or Stressed Out? Predictors of Work Interruption and Unmet Needs for Workplace Support among Informal Elder Caregivers.” Journal of Aging and Health. Brazil, Noli and Matthew A. Andersson. Forthcoming . “Mental Well-Being and Changes in Peer Ability from High School to College.” Youth & Society. Andersson, Matthew A. 2018. “Higher Education, Bigger Networks? Differences by Parental Socioeconomic Background and Network Measures.” Socius 4:1-15. Andersson, Matthew A. and Sarah K. Harkness. 2018. "When Do Biological Attributions of Mental Illness Reduce Stigma? Using Qualitative Comparative Analysis to Contextualize Attributions.” Society and Mental Health 8(3)175-194. Andersson, Matthew A. 2018. “Against All Odds or By Dint of Privilege? Happiness and Life Satisfaction Returns to College in America.” Socius 4:1-14. Andersson, Matthew A. 2018. “Modern Social Hierarchies and the Spaces Between: How Are Subjective Status Inconsistencies Linked to Mental Well-Being?” Social Psychology Quarterly 81(1):48-70. Andersson, Matthew A. 2018. “An Odd Ladder to Climb: Socioeconomic Differences Across Levels of Subjective Social Status.” Social Indicators Research 136:621-643. Andersson, Matthew A. and Joan K. Monin. 2018. “Informal Care Networks in the Context of Multimorbidity: Size, Composition, and Associations with Recipient Psychological Well-Being.” Journal of Aging and Health 30:641-664. Kaskie, Brian P., Mark H. Walker and Matthew A. Andersson. 2017. “Efforts to Address the Aging Academic Workforce: Assessing Progress through a Three-Stage Model of Institutional Change.” Innovative Higher Education 42:225-237. Andersson, Matthew A. and Kenneth Vaughan. 2017. "Adult health returns to education by key childhood social and economic indicators: Results from representative European data." Social Science and Medicine - Population Health 3:411-418. Andersson, Matthew A., Shana Kushner Gadarian and Rene Almeling. 2017. "Does Educational Attainment Shape Reactions to Genetic Risk for Alzheimer's disease? Results from a National Survey Experiment." Social Science & Medicine 180:101-105. Glass, Jennifer, Robin W. Simon and Matthew A. Andersson. 2016. "Parenthood and Happiness: Effects of Work-Family Reconciliation Policies in 22 OECD Countries.” American Journal of Sociology 122:886-929. Andersson, Matthew A. 2016. “Health Returns to Education by Family Socioeconomic Origins, 1980-2008: Testing the Importance of Gender, Cohort, and Age.” Social Science & Medicine – Population Health 2:549-560. Andersson, Matthew A. and Nicholas A. Christakis. 2016. “Desire for Weight Loss, Weight-Related Social Contact, and Body Mass Outcomes.” Obesity 24:1434-1437. Andersson, Matthew A. 2016. “Chronic Disease at Midlife: Do Parent-Child Bonds Modify the Effect of Childhood SES?” Journal of Health and Social Behavior 57:373-389. Andersson, Matthew A. and Jennifer L. Glanville. 2016. “The Contingent Effects of Mental Well-Being and Education on Volunteering.” Society and Mental Health 6:90-105. Andersson, Matthew A. and Vida Maralani. 2016. “Early-Life Characteristics and Educational Disparities in Smoking.” Social Science & Medicine 144:138-147. Dr. Andersson's Full Curriculum Vitae.